An adult of 19 years may carry cannabis of maximum 30 grams publicly though they cannot smoke in places where tobacco smoking is illegal. Moreover, cannabis cannot be used in a vehicle or within the six meters of a building. Field community located within Yoho National Park in BC will give permission for public use of marijuana. All the national parks in BC allow the use of cannabis on hiking trails and backcountry. A person should be at least 18 years of age and you may carry only 30 grams around with you. You cannot smoke cannabis inside vehicles or in places where tobacco usage is banned. At any place in the province, you cannot smoke within five meters of a building. Of the four municipalities within national park boundaries, Jasper and Banff have banned cannabis publicly while Waterton and Louise will give permission. Ontario allows much freedom and one may smoke in many public places such as parks and sidewalks. The only restriction is to have an age of minimum 19 years or more. 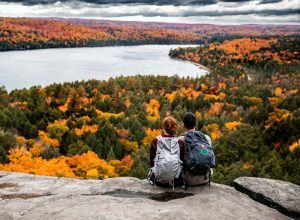 Similarly, you may smoke on trails and backcountry in Ontario’s national parks. It has a good collection of parks such as Bruce Peninsula National Park, Georgian Bay Islands National park, Pukaskwa National Park, and more. Like always, cannabis smoking is banned in the places where smoking of tobacco is not permitted. You are not allowed to smoke on bicycle paths, in Social Service institutions, health institutes, or bus shelters. You cannot smoke in universities or in shared places where people wait for transportation. One may smoke on trails and backcountry of parks but not within nine meters of a building. It boasts of many parks such as Fjord-du-Saguenay National Park (known for wildlife, splendid cliffs, and coves), Forillon National Park (majestic mountains, lush forests, and meadows), and Mont Tremblant National Park (it has six rivers and 400 streams). 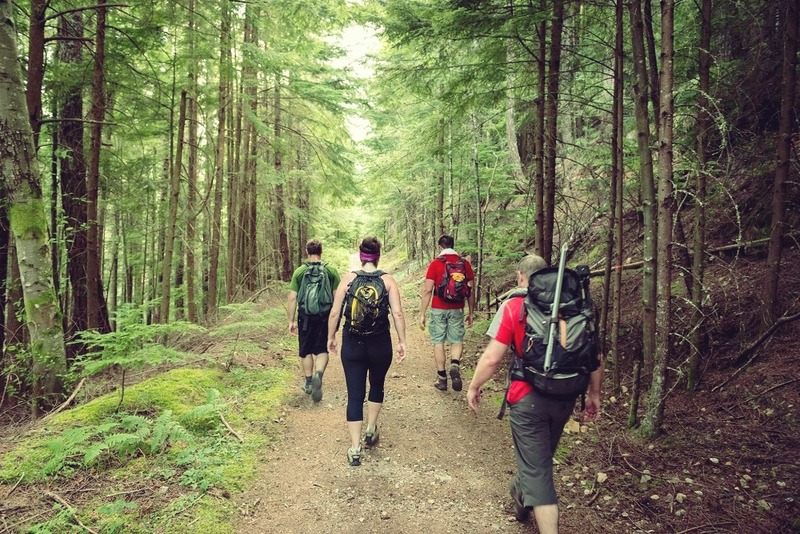 Some provinces such as Ontario, Quebec, British Columbia, Nunavut, and Alberta will allow smoking on hiking trails as long as they do not lie within the campgrounds. Marijuana will also not be permitted in washrooms, parking areas, kitchen shelters, or within National Marine Conservation areas, historic waterways, and national historic sites.